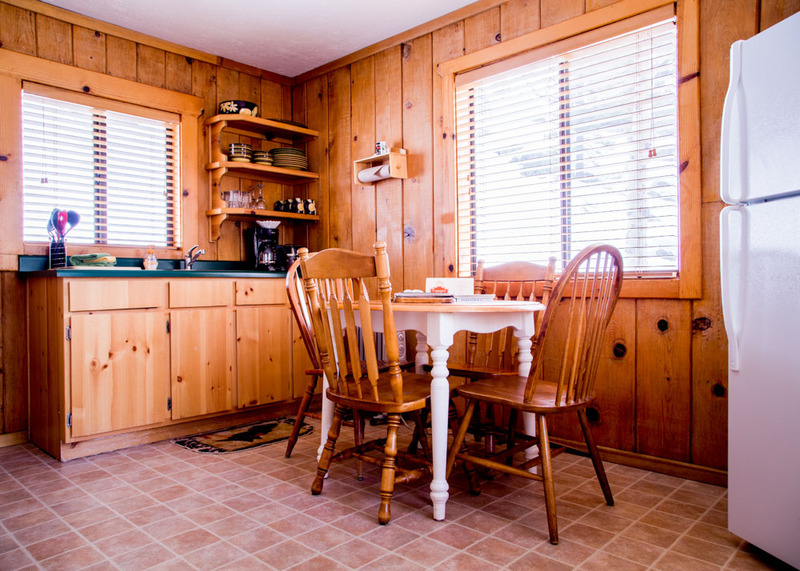 Cheerful and light, this attractive cabin is great for families or friends. 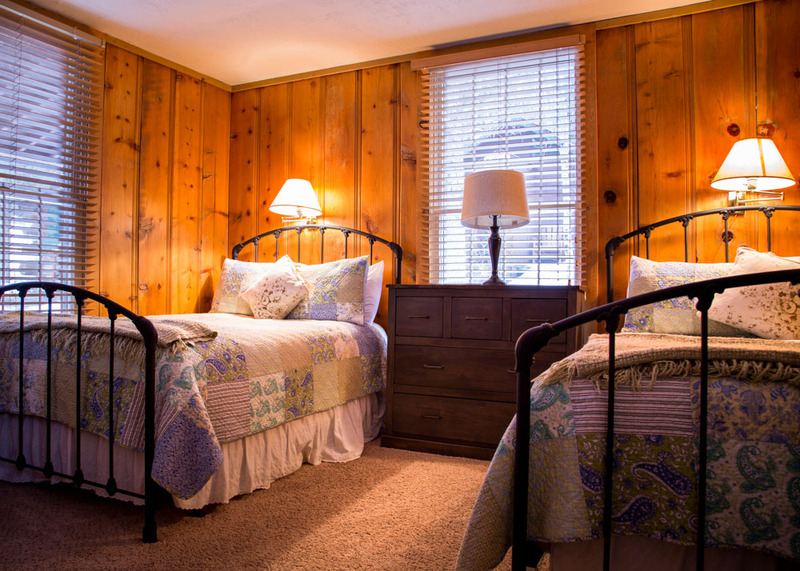 It has two double beds in a common bedroom, with full kitchen, gas log fireplace and bathroom with tub and shower. Up to four people. Wheelchair accessible in snow-free months. "Bee Kind products, our anniversary champagne! 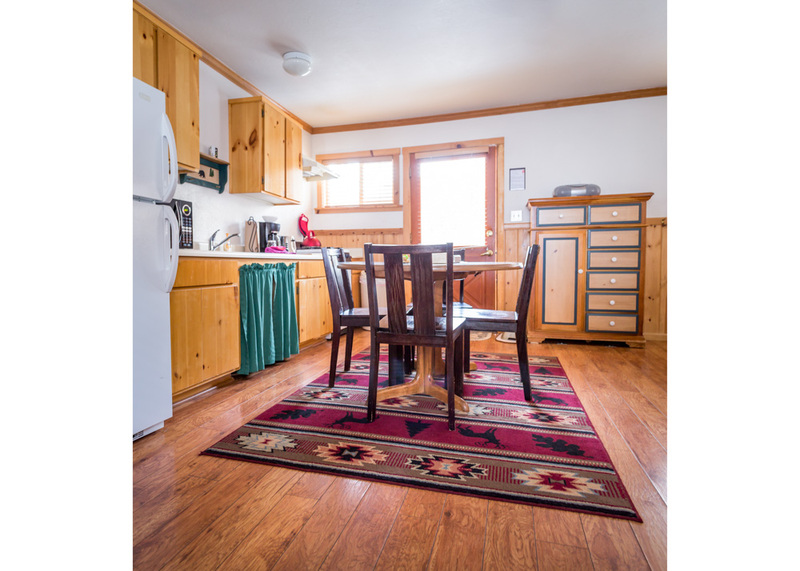 Comfy beds, lots of windows in Aspen cabin, especially in the kitchen, which I loved too. It was a great place to paint. And the beautiful throws at the end of beds." 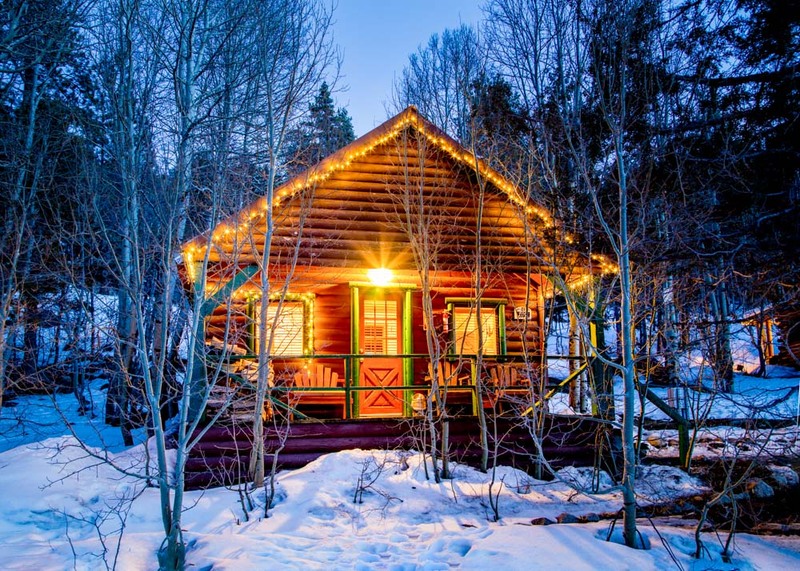 Similar to Aspen, these attractive cabins are great for families or friends. 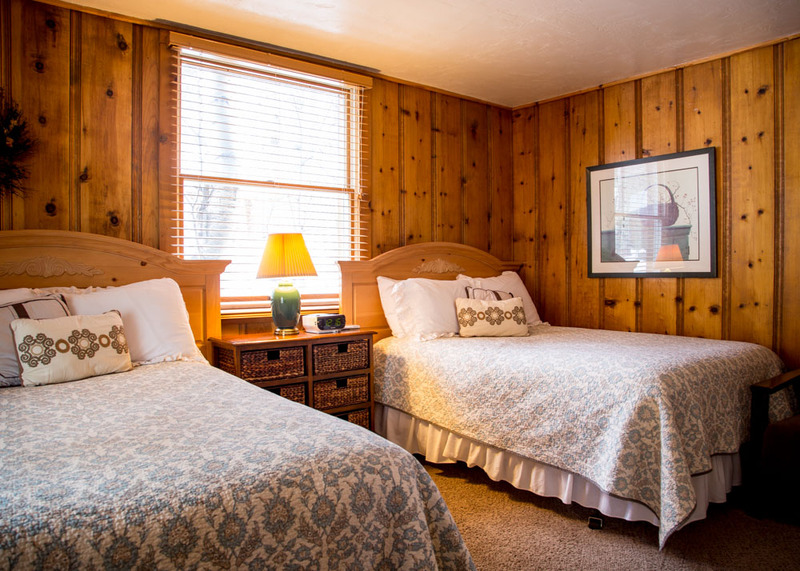 Each has two double beds in a common bedroom, with full kitchen, and bathroom with shower. Up to four people. "We have been coming here for over 30 years and Sorensen's still has the beauty and charm that we love." These two rustic charmers each have two double beds in the same room, wood burner stoves, large full kitchens and bathrooms with showers. Up to four people. "Everything was excellent. Great cookware and knives. Perfect cabin for three people. Wood stove is awesome! Good shower pressure and heat." 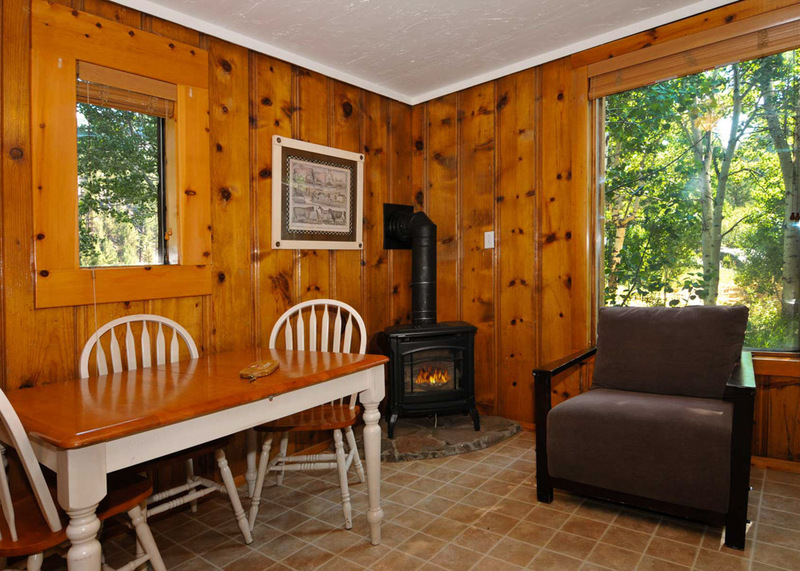 Each two-bedroom cabin works well for families who take Fido everywhere. 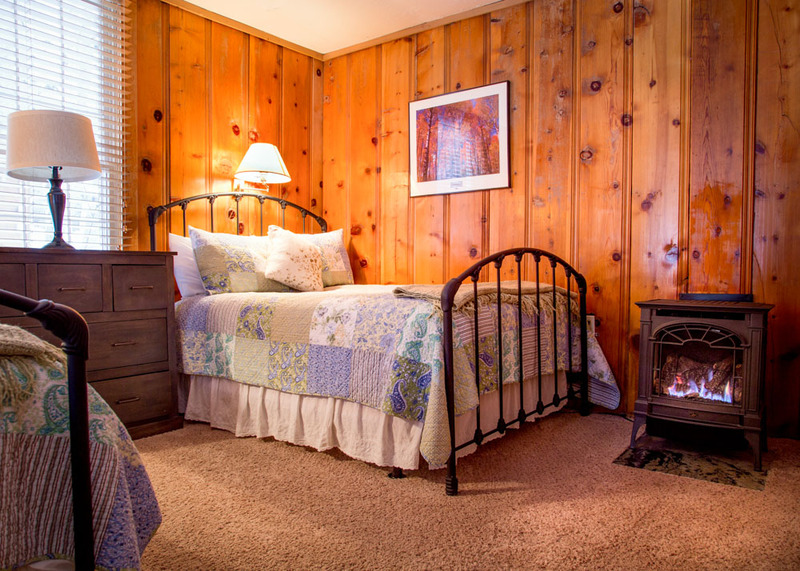 Living/bedroom spaces feature a wood stove (Log cabin) or a gas fireplace (Homestead cabin) with comfortable chairs and a queen bed. Second bedrooms each have a double bed. 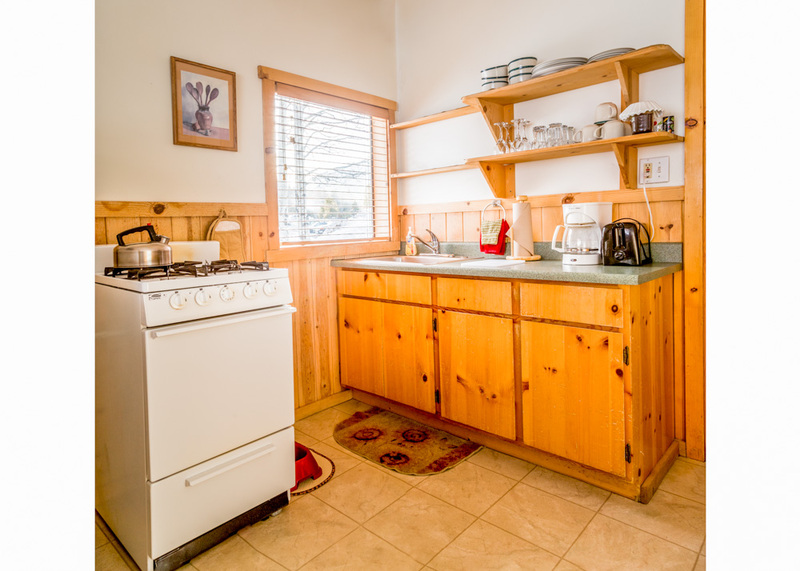 The cabins also have full kitchens and bathrooms each with shower and tub. Up to four people. Homestead is wheelchair accessible in snow-free months. 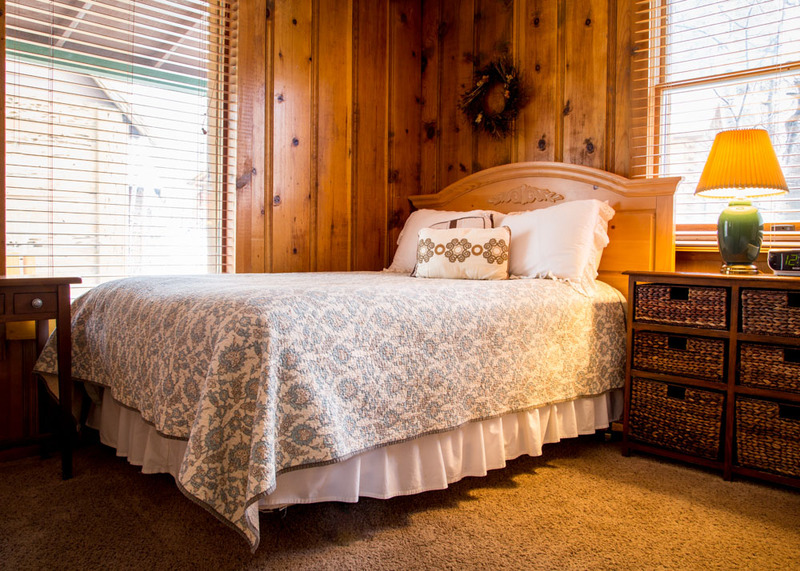 "Cabins are clean, comfy and cozy. Dog policy - Happy Dog = Happy Family! Complimentary coffee & hot chocolate, what a treat! Bed linens were lovely." A comfortable cabin that can sleep up to four. 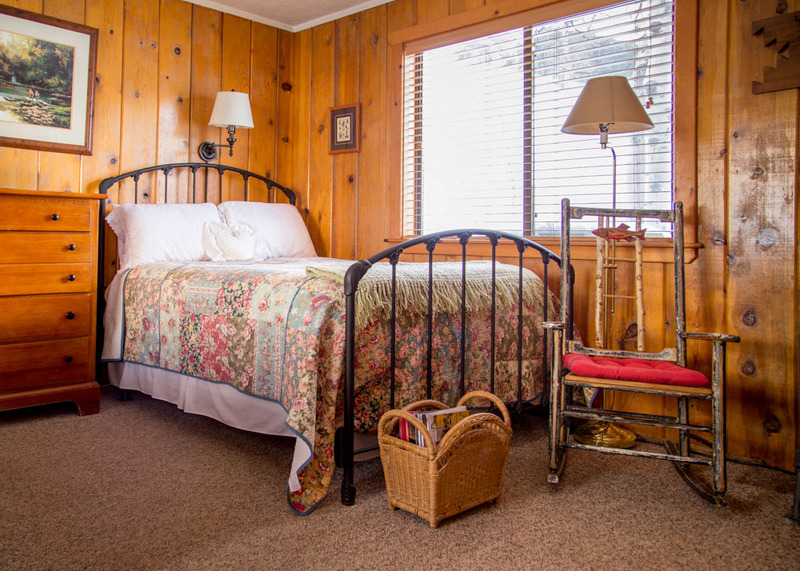 This basic mountain cabin features two double beds in one room, full kitchen, gas log fireplace and bathroom with shower. 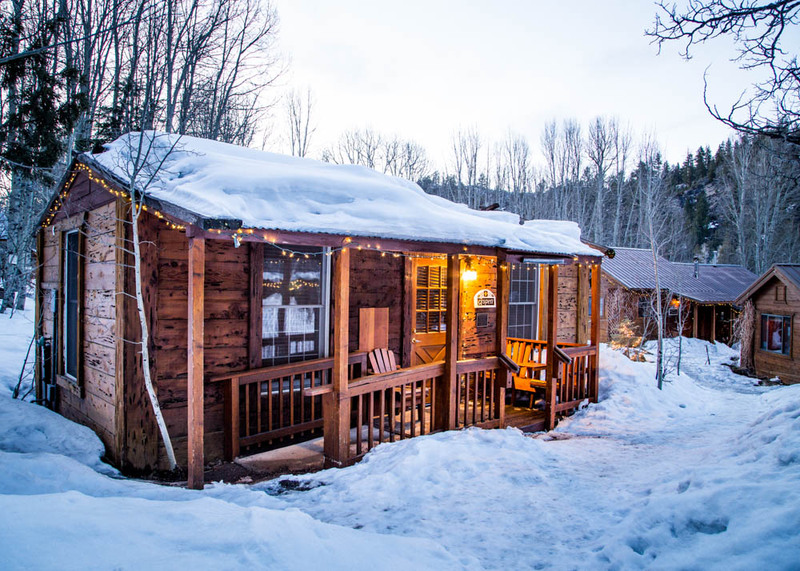 "Cabin: cozy & comfortable; Staff: friendly & helpful; Hospitality: outstanding; Food: delicious! Beautiful setting; enjoyed our stay."